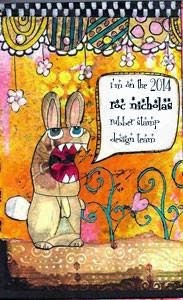 This is my December submission as part of the Roc Nicholas Rubber Stamp design team. 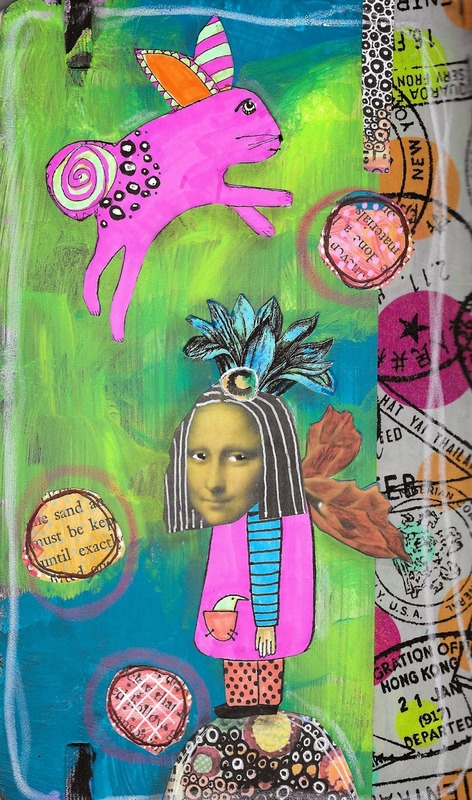 It's a mixed-media piece that I created as the back cover for one of my journals. I used a variety of paints and markers, collage images, and washi tape, along with two Roc Nicholas rubber stamps: Bunny and Bird Lady (which I altered). Roc's stamps are great on their own, but they're also easy to cut apart and modify, which I like because it makes them so versatile. You can find all of her stamps here. This is gorgeous ! Love it..